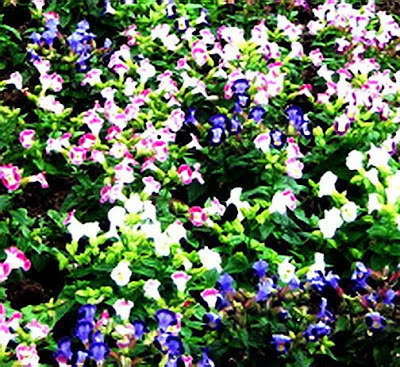 Torenia, or wishbone flower, is an annual flower that blooms in shade and hot, humid weather. Torenia forms a compact bundle about a foot high with lots of branches. Leaves are oval or heart-shaped. The flowers look a bit like open-faced snapdragons with prominent markings on the petals. 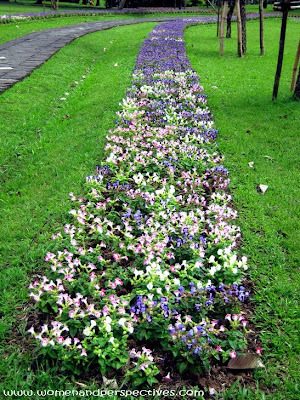 The most major color has been blue flowers, but newer varieties are pink, light blue, and white.